Akihabara is Tokyos electronics district. 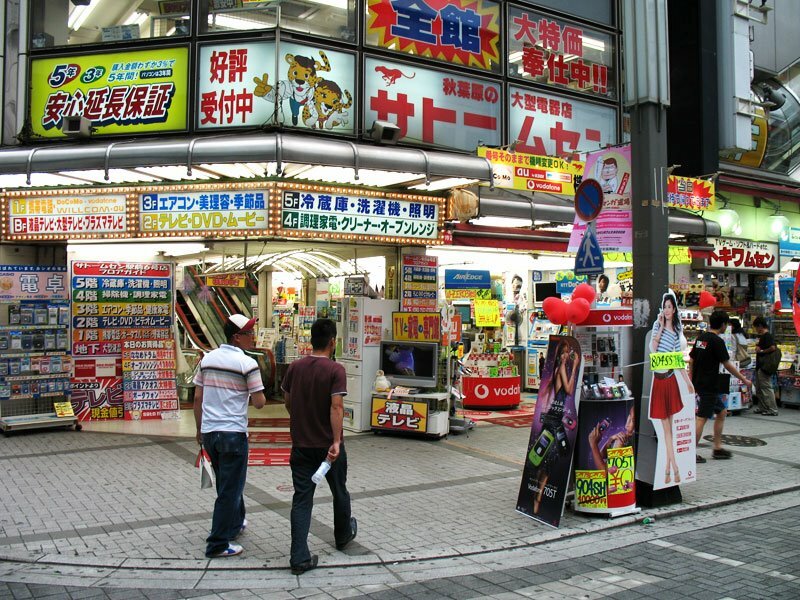 There are countless shops, small and big, which sell everything electronic, from personal computers to refrigerators. 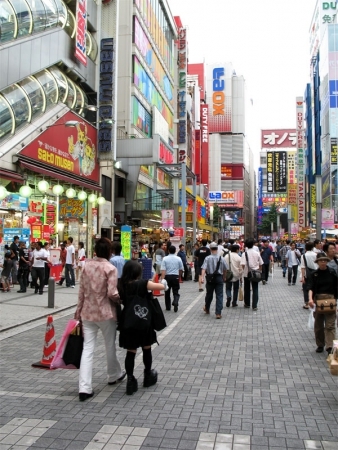 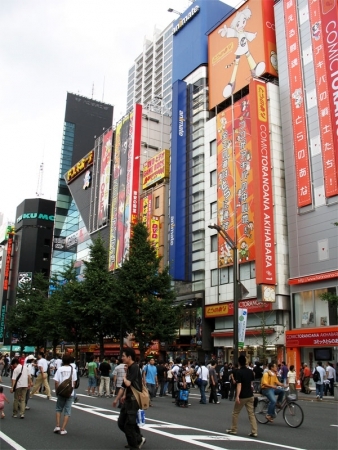 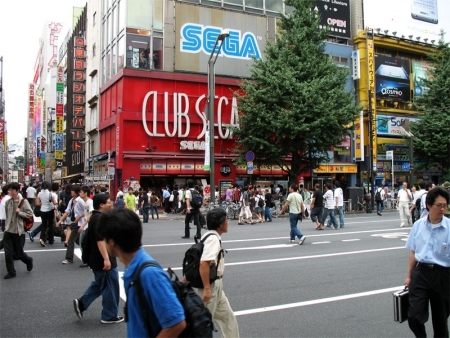 Apart from these, there are shops selling anime, manga, collectible cards and figures, adult entertainment, computer games and character costumes, making Akihabara Tokyos otaku paradise. 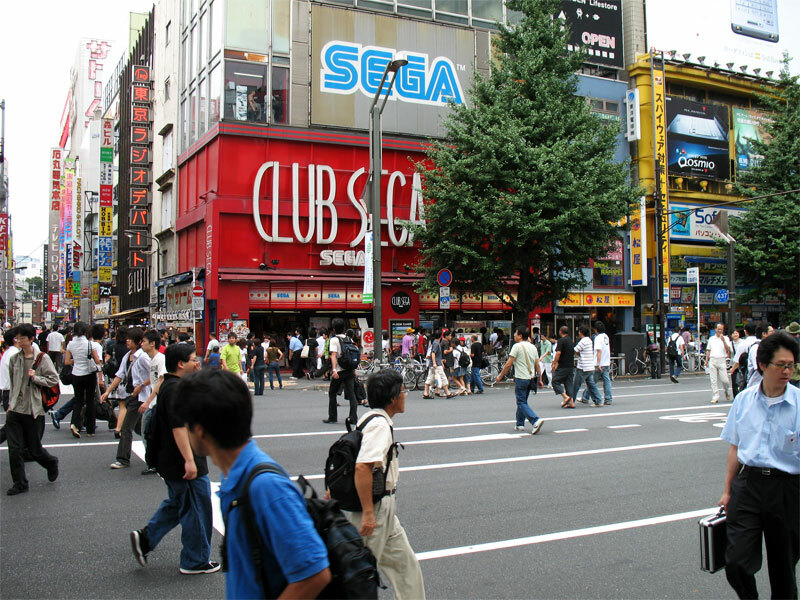 If you’re done shopping you can enjoy some fresh coffee in one of the numerous “Maid Cafés”, where cute girls dressed up in housemaid costumes serve your needs. Naturally, the majority of the clientele in this district is of the male gender, and besides the average sarariman you see many nerdy teenagers sneaking around in the shops, spending their pocket money on the latest hypes in robot anime. 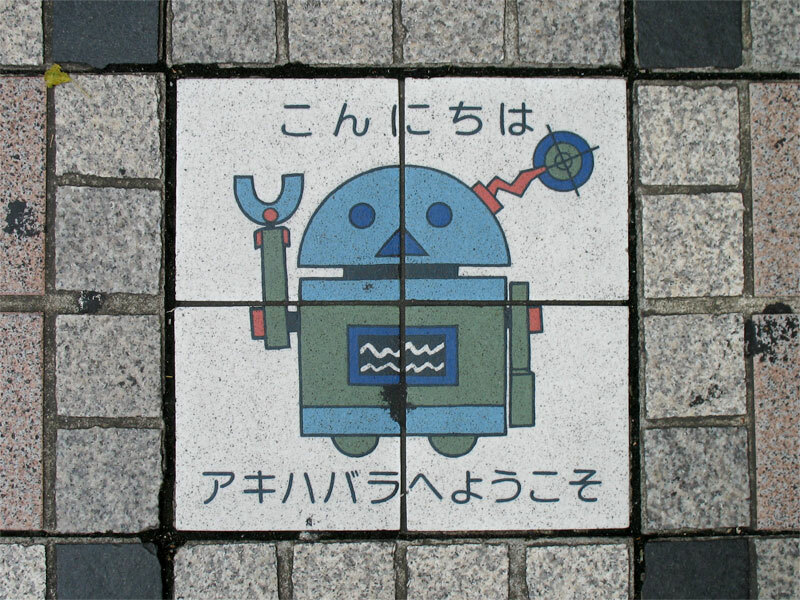 This cute little robot welcomes you to Akihabara. At least that’s what the text says. 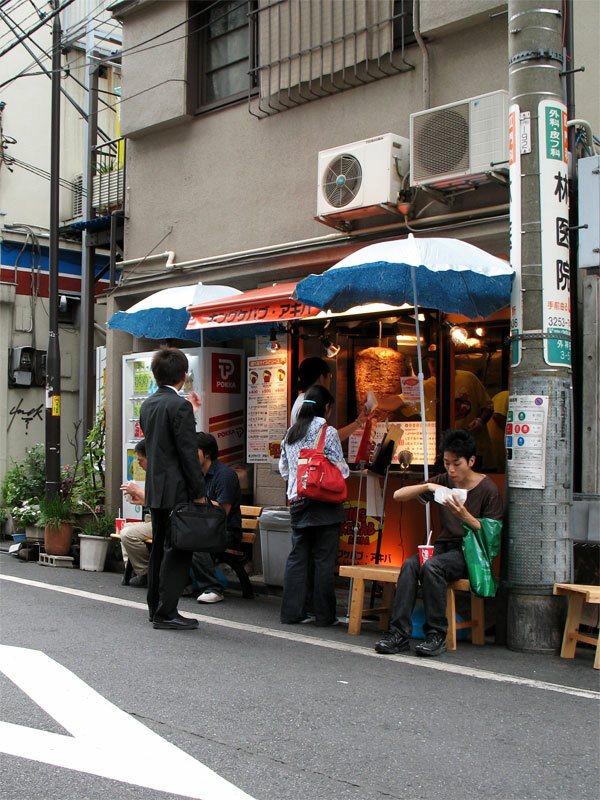 The next picture shows one of Akihabaras Döner Kebap shops. 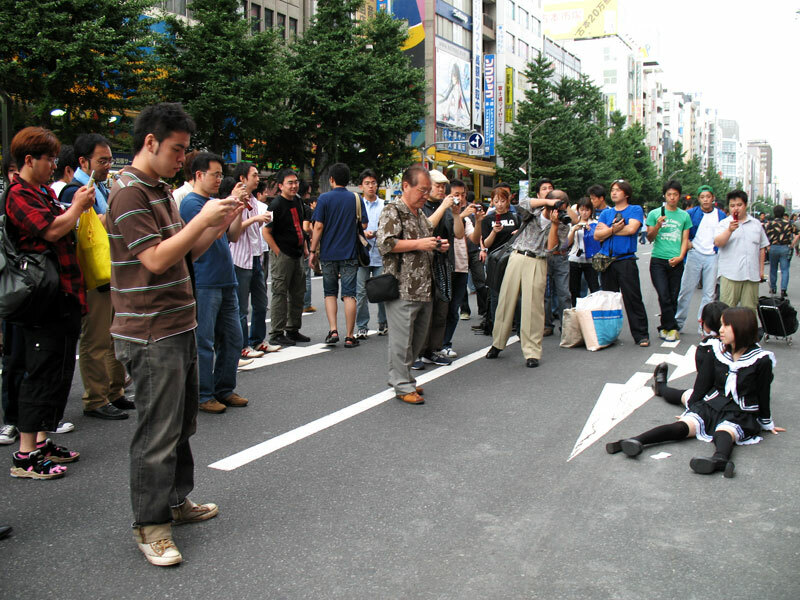 It was the first I saw in Japan, and on that particular day I happend to see three of them. This entry was posted in Japan, Pictures and tagged Japan, Japan 2006, Photography on 2006/08/30 by omu.